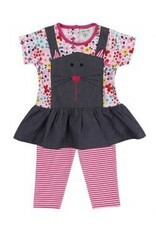 This dress and leggings set features character detailing for on-trend baby dressing. 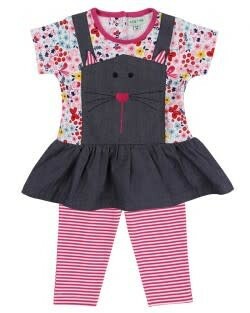 The dress is made from soft jersey and woven chambray with cute cat face details. Pink stripe leggings complete the look. Popper back fastening for easy dressing.